Looking for quality one-on-one music instruction? Look no further! The most traditional method music instruction, private music lessons foster a unique bond between student and teacher. Our music teachers adapt and cater to the needs of each individual student, regardless of instrument, experience or age. We promise to connect you to a teacher who cares about your music education and will be understanding of your needs and goals. We can help you prepare for an audition, performance, or examination. Our curriculum features performance opportunities such as our annual recital, as well as many other community related events in East York and Toronto. You can also earn high school music credits by studying at Lippert! Click here to find out how. Piano lessons will help you hammer out your favourite tunes on one of the world’s most popular instruments! Rock ‘n’ roll, jazz, classical, enjoy guitar and bass lessons in almost any genre! Small in size but hugely popular, the ukulele is a traditional Hawaiian instrument with tons of possibilities! Your voice is the most unique instrument you will ever play. Become a songbird with voice lessons! Violin, viola, cello, and bass are essential parts in any orchestra. Violin lessons and cello lessons are extra popular! The saxophone, flute and clarinet, are all essential orchestra and band instruments. Saxophone lessons are our most popular! Move to the beat of your own drum and improve your fitness, rhythm, and coordination with drum lessons! The trumpet, trombone and tuba are loud, proud, and fun! Trumpet lessons are particularly popular. Harp lessons will let you serenade the audience with one of the oldest instruments in existence. Portable, fun, and a staple of North Americana, the harmonica is a great solo or accompaniment instrument! Behind every artist is a recording engineer. With lessons in audio recording and electronic music, that could be you! 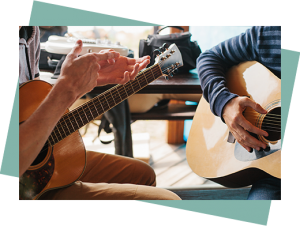 Composition lessons will let you write to film scores and symphonies while songwriting lessons will help with other genres! Music theory lessons let you understand and write music at a deeper level. A necessity for all musicians! Don’t see your instrument on the list? Contact us and we promise to connect you with an instructor! Lippert-On-The-Go! is our in-home music lesson experience. Enjoy the same level of professionalism and quality music lessons in the comfort of your own home. Whether it’s a matter of accessibility or convenience, our teachers will come to you! 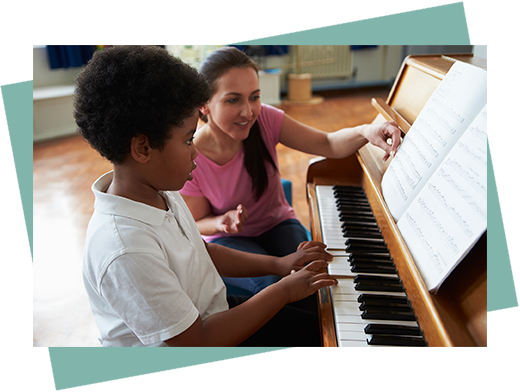 Contact us to arrange your in-home music lessons today.